On these pages you will find tools for shaping wood and other materials. 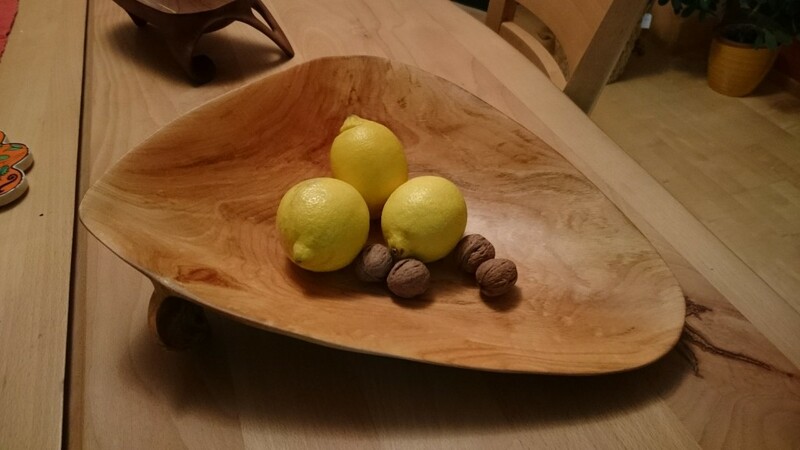 In September 2016 I started creating my own Kuksa what developed into a hobby and I made all Christmas presents from wood. I started working by hand without any electric tools and soon found out I will run out of time that way so I searched for tools to speed up my work. This is when I stumbled upon Saburrtooth burrs and discs which increased my odds to finish in time by tenfold. After that I also needed something for sanding which is even more time consuming when done solely by hand. And not just that. I had to rest my fingers for a day or two in between, to be able to continue ;) Of course I would get used to it by time, but why would I have to, when there are tools available to help you out? And if it means you can bring your ideas to life faster? Of course there are also advantages of working without any electric hand tools as there is no noise around you, you don't need a power outlet and it also produces no dust - except at the last stage when sanding the product. But I would say your decision also depends on the type of wood. For a softer wood is much easier to shape than hard one. And since I mentioned dust - there is a really great tool called OrbiCut which is used for fast removing of wood material and it produces no dust. It is a low speed tool with a great control you can use also in your hand drill if it can manage 2.000rpm as the optimum rotating speed of OrbiCut is 3.000rpm. It is also great for wet / freshly cut wood which might clog into Saburrtooth burrs - depends on the type of wood. When it comes to prices: well it is true these special sanding discs are more expensive than oridnary sanding paper and you also need to buy the sanding pad which is fixed into a drill head, but from my personal experience the end expenses are almost the same as you will use much less sanding discs as you would sandpaper. And if you are a bit carefull at the edges your foam pad will last for quite some time. For sanding complicated shapes of a carwing or sculpture where you need to keep the surface details, Arbortech has a perfect tool: RandomSander which attaches onto an angle grinder and will really make a huge difference in polishing detail corners and complicated shapes. As to dust carved edges by hand is much more complicated than large surface where you can move the sandpaper freely. And I found out the used up adhesive sandpapers (the center area stays intact) can be used very well by sticking them to your finger and then sand away the unaccessible parts. You can order my products from any European country. I usually ship with DHL but depending on a country you are from we can find the best shipping option. I would like this page to be more than just a store, so I will try to post informative articles, artist interviews and usefull tips for my visitors. And at the same time an ultimate source for Saburrtooth products in Europe.